Thinking of going to MGM National Harbor this weekend? You may want to make new plans. 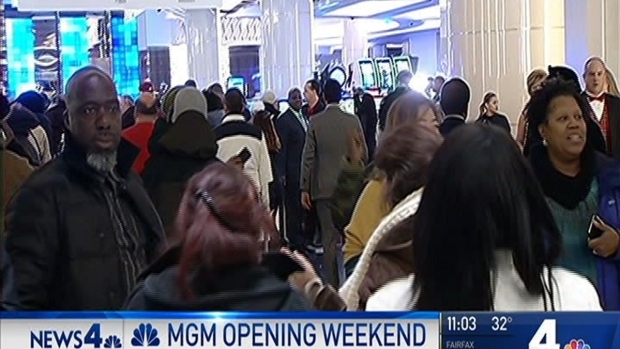 MGM is marking Thursday's grand opening as a success after thousands poured into its doors and it reached full capacity after only 45 minutes. However, there was a fight reported inside the casino. Video of the fight posted on social media shows at least two men punching and kicking another man who is on the ground. No one involved was arrested because the man who was beaten did not press charges, officials said. Security quickly broke up the fight and the evening continued. MGM National Harbor and police are telling people to stay away from the new casino this weekend because of the overwhelming crowds. News4’s Shomari Stone reports on the major traffic difference between opening night and Friday night. "We're not new at this. We operate large facilities in Las Vegas and elsewhere. We have very experienced professionals watching over both our guests and employees at all times," said Gordon Absher, a spokesperson for the casino. 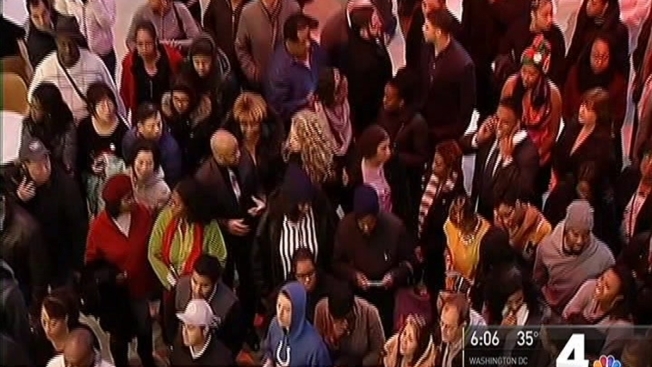 The casino had to turn people away from the casino floor after reaching full capacity again on Friday afternoon. "Guests with hotel and dinner reservations are encouraged to arrive early and allow time for heavy, potentially crowded roadway conditions," MGM National Harbor Resort and Casino said in a statement. "Others without reservations for tonight or this weekend are encouraged to consider making plans to visit the new resort another time, after grand opening weekend." Prince George's County police and The National Harbor Traffic Command Center are continuing to monitor and direct traffic.